Next story EagleFiler 1.8.2 – Archive and search documents of various formats. Previous story Image Resizer 1.5 – Resize Photos. UnDistracted 1.6 – Turn off everything that distracts you. 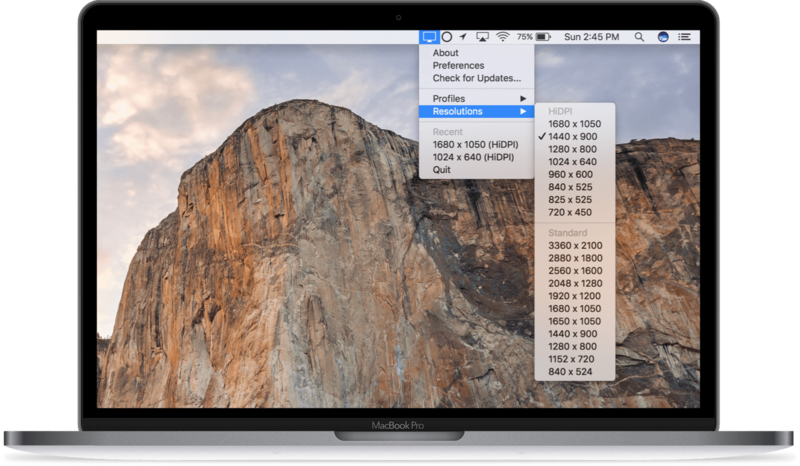 QuickRes 4.4 – Quickly switch resolutions on your Retina display.